In order to retain our goodwill in this industry, we are providing an array of Face Detection Time Attendance Machine. 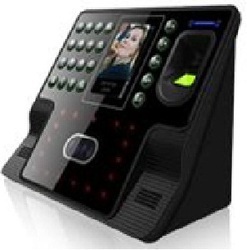 We offer Time attendance system, Access control system, Visitors Management system, School campus management system & many more products with use of Face recognition unit. - The most sophisticated facial recognition solution. - Used for computerized attendance solution. - Used for access control. FacePass is a breakthrough innovative product. The newly applied new BioNANO core algorithm and powerful hardware platform ensures the terminal identification speed less than 1sec. The advanced infrared light source design enables the terminal a quick response time.